Versace V1969 Italia Men’s Sz Medium Graphic Logo T-Shirt White. Condition is New with tags. Shipped with USPS First Class Package. Large- size. SECURITY AND RELIABILITY. Authentic Versace Dress Shirt. 95% polyester, 5% lycra. 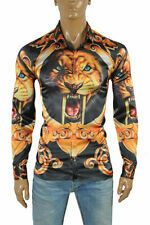 Authentic Versace Dress Shirt. Size XXLarge. 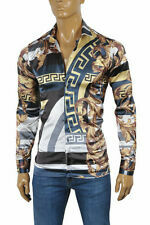 Versace CLG code 012 689 579 730. Authentic Versace Dress Shirt. Size XLarge. 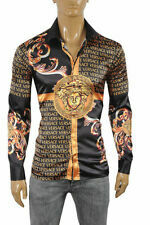 Gorgeous 100%Authentic New 2X Versace men satin shirt . Shipped with USPS Parcel Select Ground. New Gianni VERSACE Medusa Head Logo Print Men's T-Shirt Italy Size XL Sculpture. Condition is New with tags. Shipped with USPS First Class Package. Versace Jeans T-shirt Men's . Shipped with USPS Priority Mail Small Flat Rate Box.